This event is open ONLY to SmartBIO and NordAqua students. Please register before 15th of August 2018 via the link sent by email. 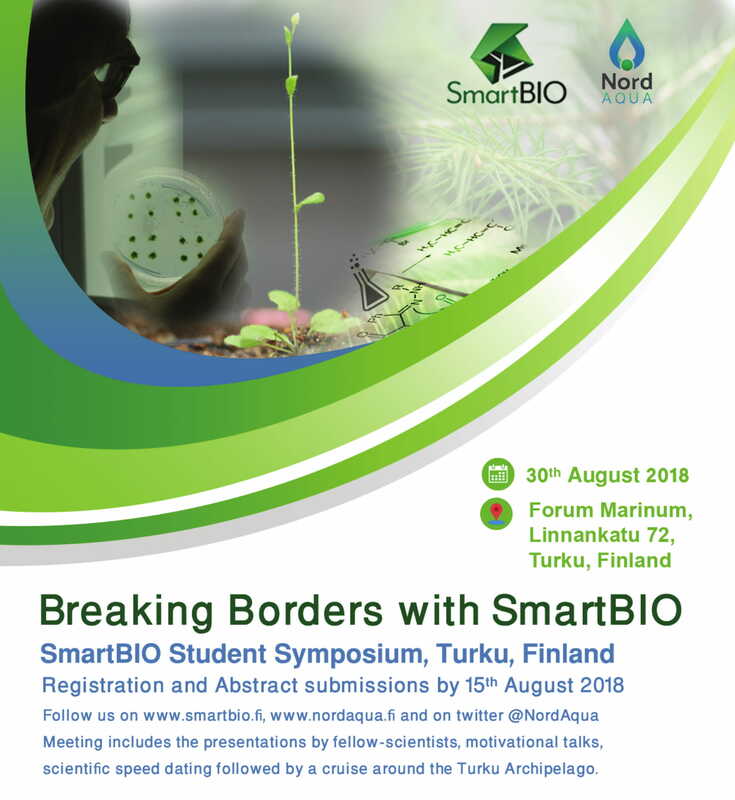 The symposium is a one-day event which will be held on August 30th 2018 in Forum Marinum (Linnankatu 72), Turku, Finland. It will gather PhD students and early-career postdocs, and focused on the research methods aiming to share ideas and find collaborations. During the symposium the students will have scientific speed dating, presentations by fellow-scientists and motivational talks by SoturiCoaching (https://www.soturicoaching.net/). The day will finish with a social event on Rudolfina boat, cruising in the archipelago with food and drinks (http://www.rudolfina.fi/).